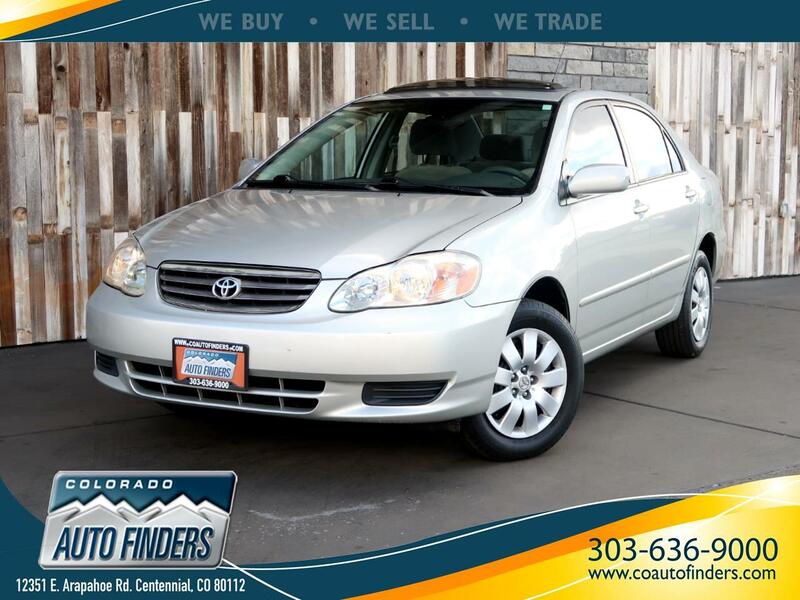 2003 Toyota Corolla 4dr Sdn CE Auto (Natl) for sale in Centennial. Toyota's venerable Corolla has gone through many changes since it was first introduced in 1968. Over the course of its long life, the Corolla has appeared as a hatchback, coupe, wagon and sedan. This Silver CE (a sedan with Manual Transmission) comes with air conditioning with micron filtration, a CD player, power steering, power mirrors, an outside temperature gauge, 60/40 split-folding rear seats and 15-inch wheels. The revamp that came with the 2003 version, with sportier styling, a larger interior, an improved drive-train and added standard equipment, helped ensure the model's continued success.